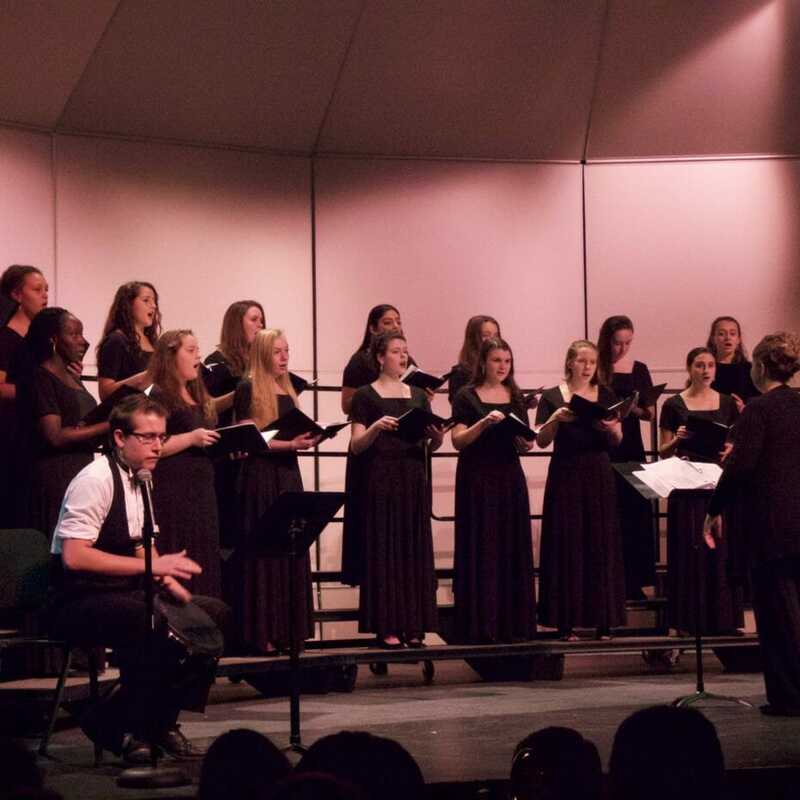 As a dress rehearsal for the upcoming OMEA solo and ensemble districts, Academy’s Women’s Chorus and Camerata had a combined concert with the concert band on Tuesday, February 21. Director Amy Brooks and band conductor Jessica Sneeringer, proudly showcased their hard-working students. After the ensembles, Camerata took the stage with “River of Imagination,” “Homeward Bound,” and “Land of Our Dreams.” Solos from Julia Leet ’18, Kami Tibbles ’19, and Dorrance-Steiner brought these pieces to life. The finale of the evening was composed of over 50 concert band students, who began a three-movement piece, “Nathan Hale Trilogy,” finishing with“Ammerland” and “Covington Square.” Throughout each piece, sounds ranging from flutes to percussion were brought together in harmony. All performers are well-prepared to perform at OMEA.